The Board of Finance encouraged the Board of Education to cut about another $291,000 from the budget in order to keep the tax rate increase at 4 percent. Members of the Board of Finance asked the Board of Education to cut an additional $293,000 from the budget to hold the mill rate increase at 4 percent. 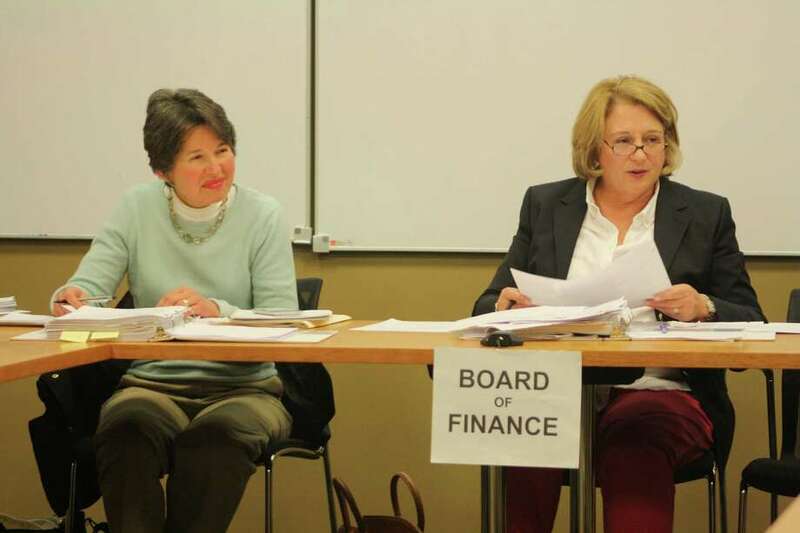 If the BOF financed both the town and BOE budgets at their current levels, the tax rate would increase by 4.3 percent, Chairman Liz Mao said. However, she, and other members, felt that increase was unacceptable in the current economic climate. If the 4 percent increase is approved, the mill rate would increase from $12.20 to $12.68 per $1,000 of assessed value for property taxes, Director of Finance Kate Buch said. "This is still a very large increase. We have been taking a look at other options and that happens to be at this point the BOE operating budget," Mao said. The board had already cut $2.2 million dollars from the budgets, but a large portion of that came in the form of additional revenue and savings in health care. The BOE also received $150,000 for from the Other Post Benefits Employment account. As a result of that money, the BOF said the actual cut to the BOE's budget would be about $291,000. "We have scrubbed the town budgets down to every thousand and every hundred dollars. It's tough going. We recognize schools parents have bombarded us with letters of support for school budget. We've all been school parents. We understand the need to advocate for school budgets," Mao said. "We're also faced with very considerable tax increases. I tend to agree going above the 4 percent increase is just too much at a time when people are losing jobs and getting less pay." Elizabeth Hagerty-Ross, chairman of the BOE, had reservations about making further cuts to the budget because she said a number of initiatives and other projects have already been deferred. "I think a cut like this basically goes to new initiatives that would help move the district forward," Hagerty-Ross said. "Instead of putting more books in a classroom we made sure we covered our deficit. We deferred and deferred. We're deferring more things our students need. This year cleaned us out." Other members of the BOF felt the cuts were appropriate given the $80.3 million budget for the schools. "I like a 4 percent increase for a number of reasons. One is the optics. Second, is that it takes the money out of the budget in a way that is not devastating but is meaningful. At the same time it certainly is not draconian by any measure," Jon Zagrodzky said. Mao pointed out the proposed cut to the budget represented a .3 percent reduction which was less than the cost of the new initiatives proposed by the BOE. "I think that the new language initiative is too expensive. At $400,000 that's something the BOE might want to look at again, but I'm not telling you what to cut," Mao said. The town and BOE budgets will go before the Representative Town Meeting May 14 for final approval.